Susan Minot was born in Boston, Massachusetts, and grew up in Manchester-by-the-Sea. She studied writing and painting at Brown University and received an MFA in writing from Columbia University. After publishing short stories in Grand Street and The New Yorker she was offered a contract for a novel by the legendary publisher Seymour Lawrence, who was to publish her next three books. His initial support for “a work of fiction” became Monkeys, nine stories which together make up a novel about the Vincent family, a New England family of seven children with a Catholic mother and Brahmin-background father. The stories cover twelve years in the life of the children, their mother’s “monkeys,” during which a tragic accident alters their lives. It was published in a dozen countries and won the Prix Femina Etranger in France in l987. The novel was followed by Lust & Other Stories, a collection about wayward artists and journalists living in New York City, particularly about the relations between men and women in their twenties and thirties having difficulty coming together and difficulty breaking apart. Her third book, Folly, set in the twenties and thirties in Boston, is a novel about a woman from a stifling Brahmin background whose choice of a husband is the determining factor in her life, and about the two different men she falls in love with. The challenge Minot set for herself was to write about a place and society which had always disturbed her and to try to imagine how a woman could stay in that world. In l994 she was contacted by the director Bernardo Bertolucci with the idea of developing his idea for a screenplay about a young American girl visiting English expatriate artists living in Tuscany and having a “sentimental education.” She had always been interested in cinema as a student and moviegoer. Stealing Beauty was a collaboration with the director. It was filmed in the summer of l995, north of Siena, where she was given the opportunity to continue polishing and learning on the set. Evening is the story of a woman on her deathbed who amidst the delirium and images of her past full life relives a love affair she had forty years earlier, when at twenty-five she attended the wedding of her best friend on an island in Maine. As her children wait and tend to her, she remembers minutely the details of those three days when she met a man, a time which emerges from marriages and divorces and children as being the high point of her life. Evening was made into a major motion picture in 2007. Having spent too many years in one place, bent over paper writing, Minot, who has an apartment in New York City, finds herself traveling and away from home much of the time. 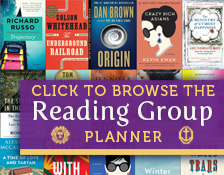 View a complete list of titles available by Susan Minot from Random House here.